Husqvarna introduced an unexpected addition to its off-road fleet at EICMA. 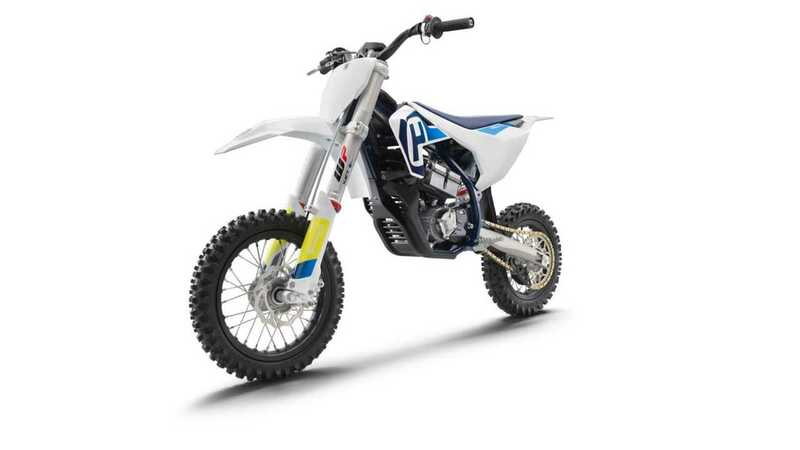 The EE5 is a small electric dirt bike that kids will be able to zoom around on without upsetting the neighbors with the buzz of a gasoline engine. Husky designed the EE5 to be roughly equivalent to a 50cc dirt bike in its performance. Its electric drivetrain makes about seven horsepower, but that comes with the instant-on electric torque that no small gas engine can provide. It uses a 907 watt-hour lithium-ion battery which is compatible with a quick charger. It may resemble a toy for kids, but this is a serious minibike. It has a WP suspension, the same supplier as Husky's full-size bikes like the 701. The design and bodywork make the EE5 unmistakeable as a Husqvarna. It features an adjustable seat so it can grow with its rider. It also has six different ride modes to grow with its rider's abilities. The EE5 may not exactly be tearing up the motocross circuit anytime soon, but it looks to be a great choice for young riders to tear up their backyards. They can learn fundamental riding skills without the mess, complexity, and noise of a gasoline engine. And by introducing a bike like this Husqvarna may be building brand loyalty in its youngest riders, who may want to stick with the brand when they're ready to move up to a bigger bike. It's no slouch on performance, either, another fact that is sure to stick in the young rider's mind. It'll be a little while before you can pick up an EE5, though. Husqvarna says it will be available at dealers next summer. Still, it may be worth a long-term IOU as a big holiday present for your favorite aspiring rider.